Kitchens are more than a platform to cook. They must enhance life by becoming a place to automatically congregate—just being in them should raise one’s spirits. “Hello and welcome to Keystone Kitchens, Inc! We appreciate the opportunity to meet with you to discuss your kitchen project. As a husband and wife team (cabinetmaker and interior designer), we are excited to create beautiful kitchens every day along with a great team of designers, engineers, cabinetmakers and installers. As hands-on owners, we work with our clients from design to completion. 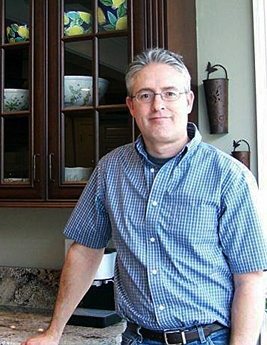 We are a full service kitchen remodeling company and have a custom cabinet shop here in Woodinville. Keystone Kitchens offers cabinets, countertops, flooring, lighting, electrical, plumbing, tile design and installation and interior wall removal. Attention to detail, high-quality craftsmanship and customer satisfaction are the foundation of our business.. Call Keystone Kitchens today to schedule your free initial consultation by calling (425) 485-1281 or set up an appointment with us via our web form.